This brand new book (just released this morning!) 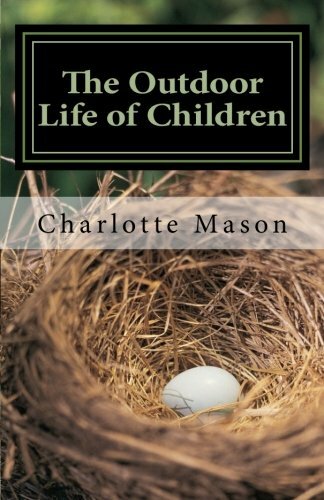 is a compilation of Charlotte Mason’s writings on the topics of Nature Study, teaching natural philosophy, and the importance of children being out-of-doors. I read (and reread!) Mason’s six-volume set of educational books and gleaned her teachings specifically on the outdoors and children. Now all of Charlotte Mason’s writings on Nature Study and the outdoors (from the six-volume set) are located in this one, easy-to-use volume. “Nature Study is the backbone of introductory natural sciences in Charlotte Mason style homes and school, but Mason also felt it was beneficial for children to spend a great deal of time out-of-doors for their physical, emotional, and spiritual health. In spite of often rainy, inclement weather, Charlotte Mason insisted on going out once-a-week for an official Nature Walk, allowing the children to experience and observe the natural environment firsthand. These excursions were nature walks, not nature talks. In addition to the weekly Nature Walks, Mason also recommended children spend large quantities of time outside each day, no matter what the weather. Take a daily walk for fun and fresh air. 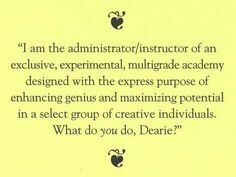 “From the time children were old enough to keep one, Mason had her students keep a personal Nature Notebook. Nature Notebooks are essentially artist sketchbooks containing pictures the children have personally drawn/painted of plants, wildlife or any other natural object found in its natural setting. These journals can also include nature-related poetry, prose, detailed descriptions, weather notes, Latin names, etc. “I can’t stress enough how valuable I’ve found the Nature Notebook idea to be. We tried to remember to take our Nature Notebooks (I keep one too) with us whenever we’d go on any sort of outdoor adventure. Our family was never blessed with acres of property off in the country for our children to frolic to their hearts’ content. But a small city lot and many local parks offered us tremendous opportunities for outdoor learning activities. To make up for the lack of open natural space in our neighborhood, we went to various local parks at least two to three times per week. We didn’t go to the parks for the play equipment, but for the exposure to a more natural setting. Now, what should I include new in 2014? Thoughts? Suggestions? Questions?